Installation of application requires internet explorer . To enable access in ie, go to menu Tools → Internet Options → Security → Local Intranet → Sites → and set “Automatically detect intranet network”. *Please use “Ctrl + F” to search for the desired application. Anaconda is the leading open data science platform powered by Python. The open source version of Anaconda is a high performance distribution of Python and R and includes over 100 of the most popular Python, R and Scala packages for data science. Additionally, you’ll have access to over 720 packages that can easily be installed with conda, our renowned package, dependency and environment manager, that is included in Anaconda. ​Code::Blocks is a C/C++ IDE built with configurability and extensibility in mind. It is built around a plugin framework that allows it to be extended through the use of external libraries (plugins). Code::Blocks is a C/C++ IDE built with configurability and extensibility in mind. It is built around a plugin framework that allows it to be extended through the use of external libraries (plugins). DOSBox Portable emulates an Intel x86 PC, complete with sound, graphics, mouse, modem, etc. Maple combines the world’s most powerful mathematical computation engine with an intuitive, “clickable” user interface. Fast and simple-to-use software application that can convert Metafiles (WMF and EMF format) into Encapsulated Postscript files (EPS). OrCAD® provides an unbeatable mix of value, capability, and performance that engineering teams across the world rely on to help them meet their PCB design objectives. Quartus® Prime design software includes everything you need to design for Altera® FPGAs, SoCs, and CPLDs from design entry and synthesis to optimization, verification, and simulation. Rational® Rose® Enterprise provides a common modeling language for enabling faster creation of quality software Jump-start your Ada, ANSI C++, C++, CORBA, Java™, J2EE™, Visual C++® and Visual Basic® applications with code generated from visual models. IBM® Rational® Rhapsody® family provides a collaborative design, development and test environment for systems engineers and software engineers. It includes perl binaries, compiler (gcc) + related tools, all the external libraries (crypto, graphics, xml …), all the bundled database clients and all you expect from Strawberry Perl. SWI-Prolog offers a comprehensive Free Software Prolog environment. A CFD visualization software tool that helps you quickly plot and animate your data exactly the way you want it: Use Tecplot 360 to analyze complex data, arrange multiple layouts, and communicate your results with professional images and animations. TikZiT is a cross-platform application that allows the creation and modification of TeX diagrams written using the pgf/TikZ macro library. It is especially geared toward rapidly creating “dot”-diagrams for use in academic papers. TortoiseSVN is an Apache™ Subversion (SVN)® client, implemented as a windows shell extension. It’s intuitive and easy to use, since it doesn’t require the Subversion command line client to run. Simply the coolest Interface to (Sub)Version Control! A full-featured Internet browser, Opera includes pop-up blocking, tabbed browsing, integrated searches, and advanced functions like Opera’s groundbreaking E-mail program, RSS Newsfeeds and IRC chat. mRemoteNG is a fork of mRemote: an open source, tabbed, multi-protocol, remote connections manager. 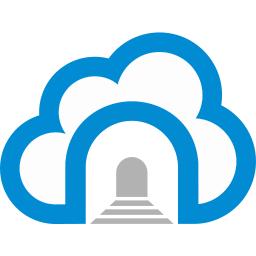 Nextcloud clients allow you to sync and share files. Beam+ is ideal for those who are away from home or live far away from their friends and family. Citrix XenCenter is the Windows-native graphical user interface for managing Citrix XenServer. Druva inSync’s smarter laptop backup is designed for enterprise mobility including backup protection optimized over WAN, strong BYOD support, and a non-intrusive end-user experience. Its heterogeneous restore capabilities including Web and mobile access empower the end-user with anytime anywhere access to data. It’s built to be user friendly and yet to offer the highest IT productivity gains for the most demanding enterprises. SpaceMonger is a simple-to-use, little tool that quickly shows you how files and folders are using your disk. TTime is (breath) a rewrite of a fork of a replacement of an updated version of software intended to help Technion students organize their timetables. (That was UDonkey-mono, UDonkey.Net, Marprog-Windows, Marprog-DOS). It automatically fetches its data from the Technion, and then generates automated schedules for the user according to his selections. We intend to make this program easy-to-use and extensible. Project Team Builder, is a project management tool, designed to improve project results. Lexcycle Stanza is a program for reading eBooks, digital newspapers, and other digital publications. Password Safe allows you to safely and easily create a secured and encrypted user name/password list. With Password Safe all you have to do is create and remember a single”Master Password” of your choice in order to unlock and access your entire user name/password list. BSplayer is an application that plays back all kinds of media files (avi,mpg,asf,wmv,wav,mp3…) and specialises in video and DIVX playback. GOM Media Player is an all-purpose video player that plays almost any video with ease. With its user-friendly interface, advanced functionality. YUV Player Deluxe is a full-featured tool for playback of uncompressed planar YUV video files. It is intended for researchers in the area of video compression, developers of video codecs and video chips and for all specialists involved in video processing. using the categorized view or by using the lookup search box, use “*” as a wildcard. More information can be found on Virtual Applications. Also, the site (and the applications) will work only for TD-CSF users while they are logon as thus , and while connecting to Technion network (CS network preferred).